All things being equal, total network inventory will double when you have how many distribution centers versus just one? Last week, we reviewed the first half of 2013 in terms of key events and news stories (see 1H 2013 Supply Chain in Review). As promised, this week we'll do a similar review but "by the numbers," with some nice charts thrown in. "E-commerce sales keep chugging along, totaling $61.4 billion in Q1 - that's up 15.8% over Q1 2012." On the economic front, as noted last week, Q1 US was just revised down to real growth (factoring out inflation) of only 1.8%, while many have also ratcheted down Q2 estimates (the actual number will come out in a few weeks) to just 1% or so, as inventory levels have been declining. 2012 levels were: Q4 - 0.4%; Q3 - 3.1%; Q2 - 1.3%; Q1 - 2.0%. So this is just the reality. With one exception, Q3 of last year, growth has been barely positive. Since Q1 2010 (see chart), real growth has averaged just 1.9% per quarter, including the Q2 estimate - not good, but at least lot better than Europe. The US manufacturing sector has generally been a bright spot all along in the weak recovery, and that largely continued in the first half, when compared to the weak GDP numbers. The Purchasing Managers Index from the Institute for Supply Management was over the 50 mark that separates expansion from contraction for every month but May, when it dipped to 49%, followed by a better 50.9 score in June. However, as can be seen in the chart below, the level of growth has been dropping since the start of the year. Another view of manufacturing is the level of manufacturing output. As we have noted many time, we have still yet to recover from the drop in output of more than 20% at the bottom of the recession in June, 2009. At an current index level of 95.5, that means US production is still more than 4 percent below its peak output in the base year of 2007. Output was basically flat in the first half of this year after a modest ramp up in late 2102, again indicating a wobbling economy. In general, input and commodity costs continued their more than two-year downward slide. Metals prices really slumped, down 15% across the nine industrial metals we follow in 1H, though steel was closer to flat. West Texas Intermediate was an exception to the downward trend, up 5.6% in the first half on the spot market, and rising rapidly both in the spot and futures markets so far in July. Crude oil futures started the year off at about $93 per barrel and are now over $105, though most of that rise came in July (see chart). The Thompson Reuters/Jeffries Commodity Price Index at the end of June was down 24% from its recent peak in Q2 2011, almost in a straight diagonal line. Diesel prices were largely flat, starting the year at $3.92 for national on-road prices, and ending June at $3.83, which was the weekly low for the year. The high mark was $4.16 in late February, meaning a delta from peak to trough of about 17%. From a logistics perspective, trucking volumes have been up fairly strongly for the year, with the ATA Freight Tonnage Index rising from 121.7 in December to 126 in May - a record high (the June number will probably be released tomorrow). That means freight volumes are now 26% above year 2000 baseline levels, a level the index actually fell below for parts of 2009. But even with truckload carriers generally keeping a strong lid on capacities, and freight volumes up 4% or so in the first half, there has not been that much upward pressure on rates. Below we contrast the ATA index change to the Case Linehaul Rate index, which has actually drifted down a percent or two since the start of the year. Ocean container shipping continued to be in favor of shippers and importers. The Shanghai Containerized Freight Index, which tracks spot market rates for shipping 40-foot containers rates rose at the end of 2012 and through the beginning of this year, but have since seen a experienced a consistent decline. Rates are now well below prior-year levels, with shipments to the US west coast down 31% year-over-year and down 22% on East coast port sailings. Rates to Europe are down in the 50-60% range. E-commerce sales keep chugging along, totaling $61.4 billion in Q1 - that's up 15.8% over Q1 2012, according to the Census bureau. By the way we figure it, that makes e-commerce about 7.5% of applicable total retail sales, when you strip out automobiles, restaurants and gas stations. Ok, that's it. 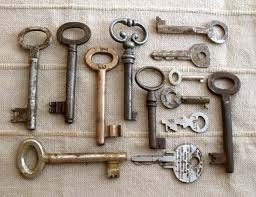 If we missed some numbers you would like to see, send me a note at the feedback button below. Increasing S&OP Speed, Visibility and Control for Improved Decision-Making. Radisys worked with Steelwedge and icon-scm to deal with everything from manufacturing outsourcing and global volatility to mergers and acquisitions-and to ensure that the S&OP goals remained in line with overall business objectives. 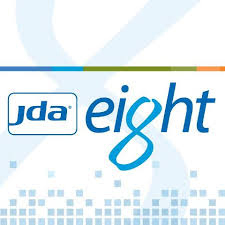 What is the State of JDA eight? An Integrated Suite of More than 30 Supply Chain Planning and Execution Solutions, All Delivered in the Cloud. JDA Says it is an Industry "Game Changer." Is that Right? SCDigest editor Dan Gilmore Interviews a JDA Exec and Execs from HEB and Coca-Cola Bottling Co. Consolidated to Get the Answers. Will publish a few good emails we've received lately, including a great when from David Schneider, who was at the State of Logistics press conference in Washington DC in June, and adds some nice comments from the panel discussion that augment our coverage of the written report. And that makes it our Feedback of the Week! Plus interesting letters on the whole apparel supply chain troubles discussed above. I was present at the press conference, front row, and took notes of the Q&A session after. Marc Althen (president of Penske Logistics) said Penske saw an upturn as more shippers looked for 3PL services to help adjust for greater complexity in the networks: he is optimistic. Brent Beabout (Senior Vice President, Supply Chain for Office Depot ) said that the B to B business is not recovering quickly, and they continue to see pressure to improve operations by serving omni-channel demand through the same network. Cautious optimism. Steven Bobb (exec VP at BNSF) said BNSF structural changes in demand volume shifted from coal and grain to intermodal, oil and oil related industrial movements. Cautious optimism. Beth Ford (chief supply chain officer at Land O'Lakes) reported that her company saw robust growth in food commodity movements, more on a global scale. She is optimistic. Paul Svindlands (COO of Pacer) said that Pacer is cautious about its optimism, that while there will be growth, it will not be exciting growth. Paul is new at Pacer - and did not really comment about 2012. Paul - Dray carriers will not be impacted anywhere like regional and long haul carriers. What kills the dray carriers productivity is the time at the ocean terminals. Rail ramps are efficient and drivers do not see the 2 - 3 hours delays that drivers see in LA or Newark. Marc - Penske expects a 3% hit to productivity. The panel all comments. Roz pointed out that the opportunity to pick up the young drivers is when they get out of High School, but they can’t get a CDL until they are 21. By that time the kids are already down a different path and not likely to change careers. Beth - the Daughter of a Truck Driver - said that the changes in the industry, and the options, makes driving less attractive. Marc - Human Capital. Beth chimed in on this later, and it worked in with more driver shortage comments. Beth spoke about "The War for Talent" where she goes to colleges and finds it difficult to get the business school students excited about supply chain and logistics. She talked about a need to "change the dynamic of how people look at the career, and the impact logistics has on many parts of the organization." She went on to talk about finding people that could communicate and collaborate, not only internally, but to help "educate the front of the house to understand what the back of the house does." "For our front line supervision, as a railroad we are an outdoor sport. So we turn to the military to look for the front line leaders we need to put in the field." On the question about conversion from road to rail, the specific question asked about the length of haul where it makes sense to convert. Steve commented that it is more of a structural issue, that BNSF network is a long haul railroad, so by design the distances are longer than in the East. "We have ample opportunities with the structure we have, so we will focus to increase our take of what our current network supports." You raise a very interesting question regarding inflections points. I think the major change is the depth of involvement that Wal Mart appears to be taking. I just wonder how much cost can be absorbed before it finds its way into the consumer's cost. I also think that many consumers might be ok with paying more to avoid future tragedies even in countries far removed from the U.S. I don't see the investment piece as a major change in the same way. Companies have been investing in their supply chain partners for years. It's the nature of this investment that is really new. Feedback on What Took the Apparel Industry So Long to Address Issues? Your answer is obvious; there is no ROI in responsible sourcing. All of the incentives promote willful ignorance in the service of increasing profits and market share. I was at a food conference recently where one of the keynote themes was "Food safety should not be a competitive advantage," highlighting companies (like Earthbound and others) that share their research and innovations with the industry. One speaker got up later and said, "That's true, unfortunately blindness and irresponsibility are an advantage, allowing companies to offer lower prices and gain market share." This is equally true in apparel, consumer electronics and other industries where price is everything. Until you see CEO's comp plans with significant bonus for "0 worker injuries at supply chain partner sites" and similar measures, nothing will get fixed. As one of those "human and workers' rights types," I'd like to welcome you to the party. I have been working on the Nike sweatshop issue in Indonesia for 15 years now and I can tell you that nothing of significance has changed, regardless of what Nike tells you in their CSR report. I hope you will keep pushing on this issue. Q: All things being equal, total network inventory will double when you have how many distribution centers versus just one? A: 9 – but of course all things are never equal.